It was in this guide that I received a request from Acronis Software and asked if I’d be interested in checking out and reviewing their newest product, Acronis True Image 2014. I figured “sure, why not?” If nothing else, it may be an interesting experience to try something new, and see what I could discover in the process. I decided that this might be a fun experiment for a few reasons. First being the fact that I’ve been playing fast and loose with my PC. I used to be much more meticulous about things like anti-virus software, firewalls, backups, imaging, etc, but it’s been awhile (since the MacBookPro became my main system). Still, there’s a lot of stuff I do on the PC that I’d be rather upset if I were to completely lose ,so I considered this a timely and fortuitous call to action. Installation was relatively quick, even on my now somewhat long in the tooth Windows 7 PC (a 2009 era Toshiba Satellite for those interested). It was with this well seasoned machine that I figured a more nuanced and interesting test could be conducted. There’s two levels to this application. The first is the stripped down, almost bare bones display of the most critical functions. For those who want to get in, do what they must and then get out, this is a nice setup. Clean lines, uncluttered, easy to navigate and understand. Ah, but what fun is a backup and restoration app if it doesn’t give fine control to the one setting it up? If you are one easily smitten by such things… Adornis has you covered there, too. 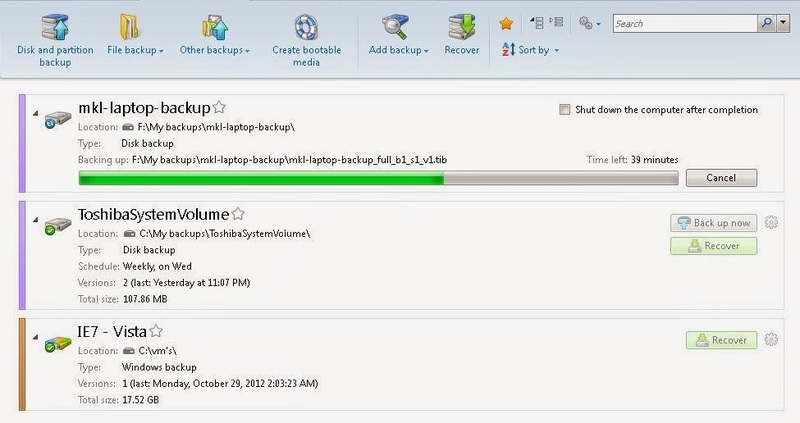 Complete Control of the level and Density of the backup. If you want to create a very specific and cherry picked set of files that you need to back up, along with a set of partitions on your disk, you can do that. The control options are geared towards the simplest and quickest path, and if you want to “set it and forget it”, it’s very easy to do so. If you would like to go in and perform fine control and very specific file level interactions, you can do that as well. Individual file selection from back-ups. 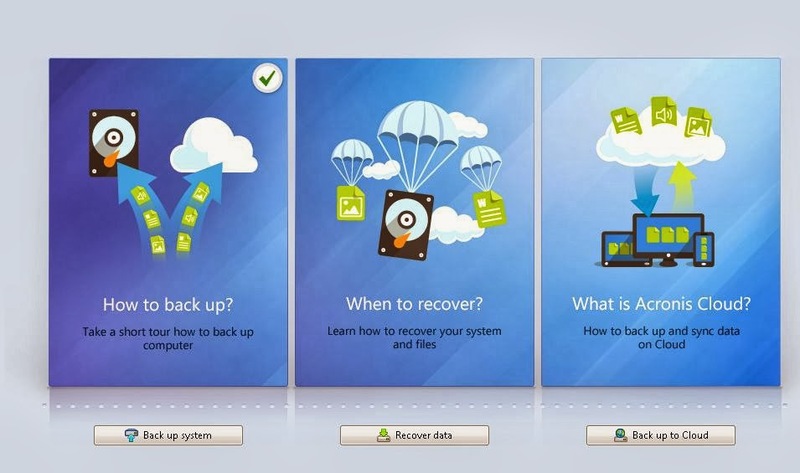 In addition to backing up either full disks or individual file level, the user has the options of performing a file level recovery from a disk partition, if that is desired. 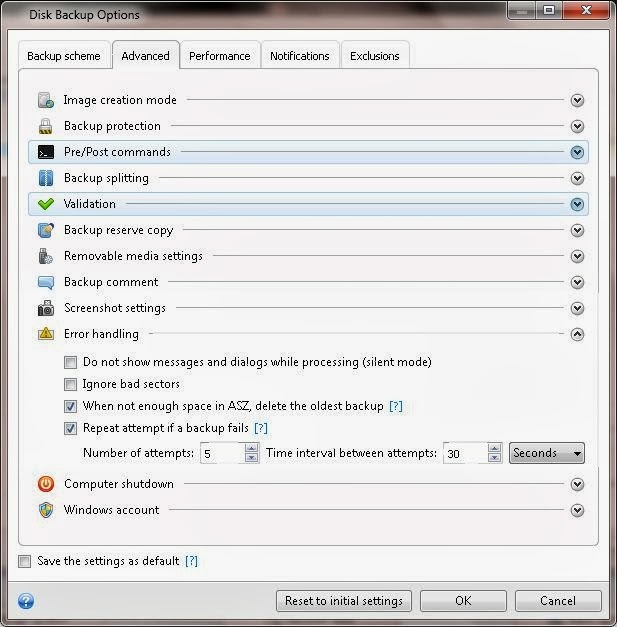 rather than have to go and pull down a full backup, the user can go in and select a single file and just pull that one option. Yes, this has been available for systems for years, but being able to do it this simply and this directly is new and, frankly, kind of nice. Create bootable media that can interact with the True Image backups. This option still requires a bit of futzing with the BIOS to set the boot order, but if you do, then you are just a USB stick or a CD/DVD away from getting your system up and restoring a True Image backup. again, the system allows for both “drop in simple” and “fine motor control” options, depending on how involved or detailed you choose to be. Acronis gives the user a number of “DropBox” level options for online storage, and in this capacity, users of Acronis can utilize the True Image equivalent of Dropbox. While drop box create and drag options are cool and widespread, True Image has added the ability of pushing and pulling full backup images from the cloud. this way, if you’d like to get a dedicated hard drive out of the equation entirely, you can certainly do that. In addition, users can also use the sync functionality with multiple devices and keep all of their items up to date. Click “Publish” and the whole world can see it, or just those who you designate access to. Try and Decide – Curious to see if an app will cause problems? try and decide lets you give it a run, and if it turns out to be more trouble than it’s worth, you can roll it back. Secure Zone – creates a special secure partition for your backups on your disk. Boot Sequence Manager – Lets you boot your computer from a disk image if desired. The tool isn’t magic, but as far as having a balance between ease of use and flexibility/control, Acronis hits more notes than it misses. Systems are of course going to be limited based on the hardware are features. My test runs were not what I would call “zippy”, but I am perfectly aware of the fact that that may have more to do with my own system limitations and hardware than anything having to do with the Acronis application. Also, I’ve only spent a few days with this app, and there’s so much that I’m curious to play with and tweak with. I suppose the best endorsement I can give is that, after several days of poking and prodding, I feel like I want to know more and do more. In these days of short attention span theater, that says a lot. tl;dr: nice app, simple to operate for the basics, but plenty of firepower to geek out with if users choose to. A nice balance overall.